The vast majority of “family” sitcoms on television have depicted mostly typical families. Even with a show like Married with Children, the core family unit is intact, even if its members may be a little dysfunctional. Modern Family has elements of that too, but it also approaches family units that are a little less traditional. You have an older man (played brilliantly by Ed “Al Bundy” O’Neill) marrying a woman who is the same age as his daughter. You have a gay couple adopting a little girl from overseas. And while they may have their problems, it all sort of works. On television, the father figure is oftentimes a hot-headed disciplinarian. That’s not at all the case with head of the household Phil Dunphy, played by Ty Burrell. He’s a goofball who means well and wishes nothing more than to be his kids’ best friend. And his dorky Dunphy-isms are absolutely priceless. Maybe it’s because I’m a big dork myself. Maybe it’s because I identify with his profession as a real estate agent. 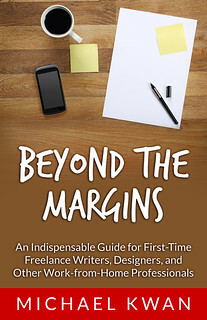 After all, freelance writers and realtors both have to take care of their clients, hustle to find new clients, and persevere through the ebb and flow of income. And in the quote above, even if the math hardly holds up, Phil Dunphy provides some useful insight. Hard work and perseverance can go a long way, but we mustn’t forget about having a positive attitude either. And Phil Dunphy, if nothing else, epitomizes the positive attitude. He makes his way through life with confidence and humor, even if he lacks any real grace and tact. What it means to be a “good dad” has certainly changed through the generations. You’d likely be admonished for acting like Archie Bunker today, but that was much closer to the cultural norm at the time. It will be interesting if the “peerenting” style of Phil Dunphy will be seen 20 years from now in a similar light to how many of us view Danny Tanner from Full House today. They both thought they were “cool” dads, but they’re just dorks. And we love them all the more for it.